In this blog post I want to concentrate on one of the most well known, effective nymphs that exist, the Hare’s Ear nymph. I don’t want to bore you with details of its history, but concentrate on a modern perspective and new ways to tie it. One thing to mention is that hare’s ear fur has been used for a long time, even as far back as the 1600’s. If you want to know more about its history, I recommend heading over to Flyanglers Online and read an article by Tom Travis where he delves deep into the history of the Hare’s Ear nymph. 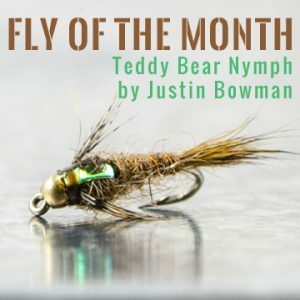 This entry was posted in Fly of the Month, Fly Tying Tips & Tools, Our Regular Contributors, Paul Beel, Frankenfly and tagged fly fishing, fly tying, fly tying advice, fly tying dubbing, Nymph on January 30, 2017 by Paul J Beel. This entry was posted in Fly Fishing Gear, Fly Fishing Life, Our Regular Contributors, Phil Rispin, Fly Fisher & Photographer and tagged fly fishing, fly fishing gear, fly fishing life on January 26, 2017 by Phil Rispin. 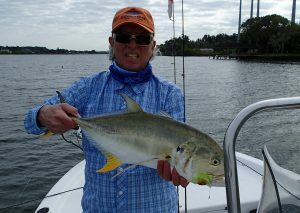 I caught this jack in about a 1′ of water off an oyster bed on a big chartreuse deceiver in mid-January. Completely unexpected. Took ~10 minutes to land with a 6 wt and the fish was well into the backing in 10 seconds. Thank goodness for sound knots! 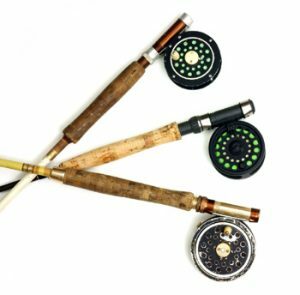 This entry was posted in Fly Tying Materials & Supplies, Fly Tying Tips & Tools, Mike Cline, Bozeman MT, Our Regular Contributors, The Art of Fly Tying and tagged fly fishing, fly tying, fly tying advice on January 23, 2017 by Mike Cline.